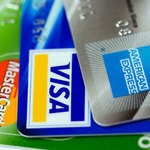 Credit card minimum payments can act as an “anchor” that causes consumers to pay less of their debt than they otherwise would, leading to higher balances and interest costs, lower credit card scores, increased bankruptcy risks, and in the aggregate, suboptimally high levels of debt in the macro-economy. Policy “nudges,” which aim to increase the monthly amount that individuals pay on their credit card debt, have had mixed results. Wang, Jialan and Keys, Benjamin J., "Perverse Nudges: Minimum Payments and Debt Paydown in Consumer Credit Cards" (2014). Penn Wharton Public Policy Initiative. 25.